Women Action for Development (WAD) has started a project which aims to address the marginalisation and discrimination of women. WAD hosted the first training session on gender related content on 16 November under the theme, “My rights as a Namibian Woman and Namibian Citizen. 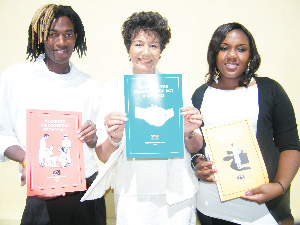 Gender and Human Rights Awareness-raising for Namibian citizens. This comes after the Delegation of the European Union to Namibia approved funding towards the project, which will be implemented over a period of three years. The initiative seek to contribute to a gender sensitive Namibian society where human rights are protected and women enjoy equal opportunities. Veronica de Klerk, director of WAD, said that the workshop was born out of the desire of the organisation to make a difference, raise awareness on gender related laws and policies as part of ongoing efforts to address gender inequality in Namibia. According to De Klerk, it is a well-known fact that the perception still exists that men are far more advanced than women in terms of levels of academic achievement, knowledge of their rights as well as knowledge of the functioning of State mechanisms, 21 years after Independence. “This perception inevitably led, in the past and still to a large extent today, to a very unequal representation of the genders in job placements in the higher echelons of national and business activities, with women constituting the minority, not withstanding their majority in the country’s population,” she said. A total of 400 training workshops will be conducted over three years, reaching close to 9 000 members from all sectors of society, including civil society, traditional authorities, spiritual leaders, regional councils, the police, journalists, the judiciary and parliamentarians. Ministry of Gender Equality & Child Welfare and the Konrad Adenauer Stiftung.